Callie is a young woman with a huge heart who inspires others to be kind and respectful. She is always willing to lend a helping hand. She is a tremendous student and a 3-sport athlete who works hard to complete tasks with diligence and excellence. 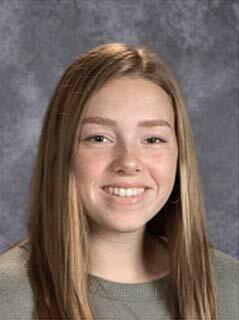 Callie has been Campus Coordinator for the MHS Student Council for two years and she is a member of the National Honor Society. Congratulations Callie!